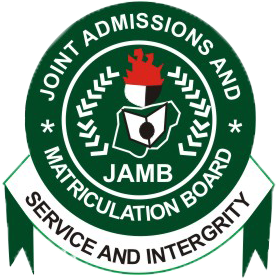 The Registrar, Joint Admissions and Matriculation Board (JAMB), Prof. Is-haq Oloyede has revealed plans by the agency to dump using finger print for accreditation of candidates participating in its annual examination for a new technology. Oloyede made the disclosure while conducting an on-the-spot assessment of the ongoing UTME on Thursday at the JKK Computer Based Test (CBT) centre in Lagos. According to the JAMB Registrar, many Nigerians are criminally-innovative. He said despite effort put in place by the examination body to stem incidences of impersonation and cheating in the exams, many candidates, CBT centre owners and even parents still find ways to beat the system. He expressed worry that about 70 percent of the private CBT centres engage in fraud, but that, henceforth measures would be put in place to stem cheating. “But as they try to beat us, we are there before them. We have seen many people you would call eminent Nigerians who are school owners, centre owners and even with PhD qualifications, who are engaging in fraudulent practices. It is shocking and embarrassing too. But JAMB is far ahead of them. “It is sad to note that many parents are bunch of disappointments. In their efforts to cheat the system, many were discovered to have engaged the services of fraudulent operators who in turn engage the CBT owners for candidates’ registration. In the process, problems arose. Many have been arrested and more may still be arrested. “As long as we are here, the sanctity and integrity of our examination will be protected. All the private CBT centres where the issues have been identified with won’t be accredited by JAMB,” Oloyede said. The JAMB Registrar also disclosed that so far, a total of 1,648,429 candidates have sat for the 2017 examination as at Wednesday and that the results of 1,048,914 candidates have even been released.